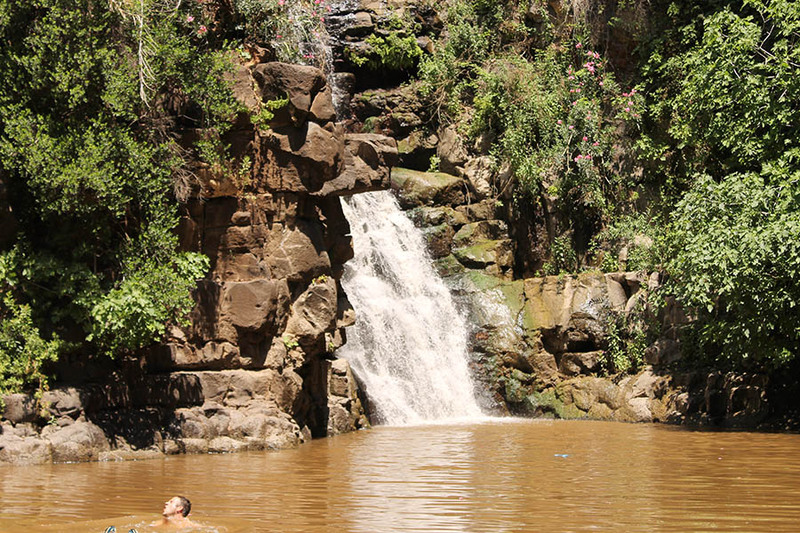 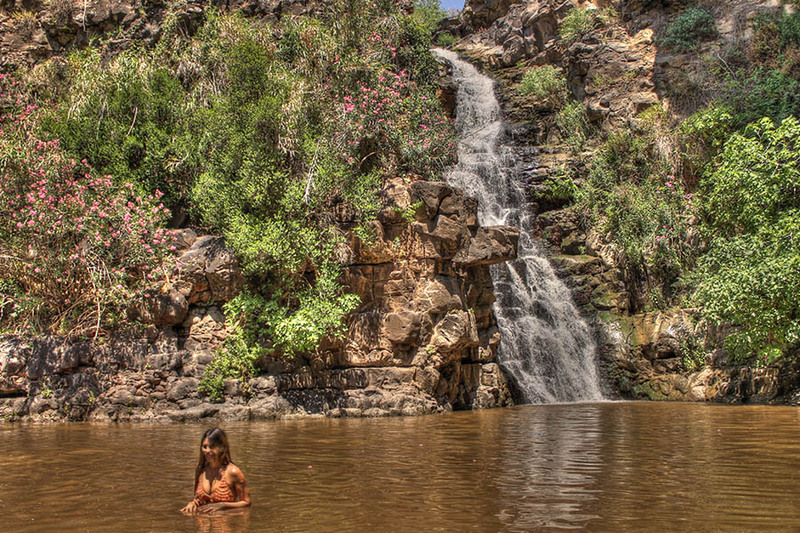 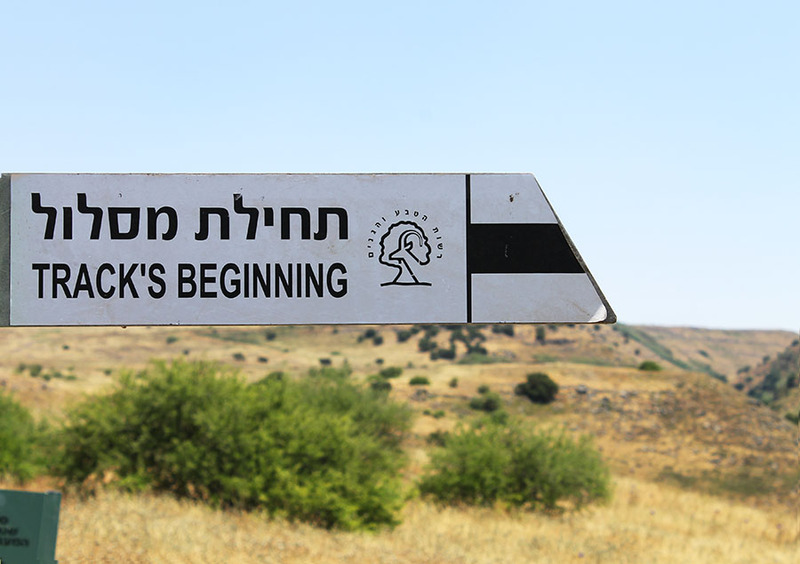 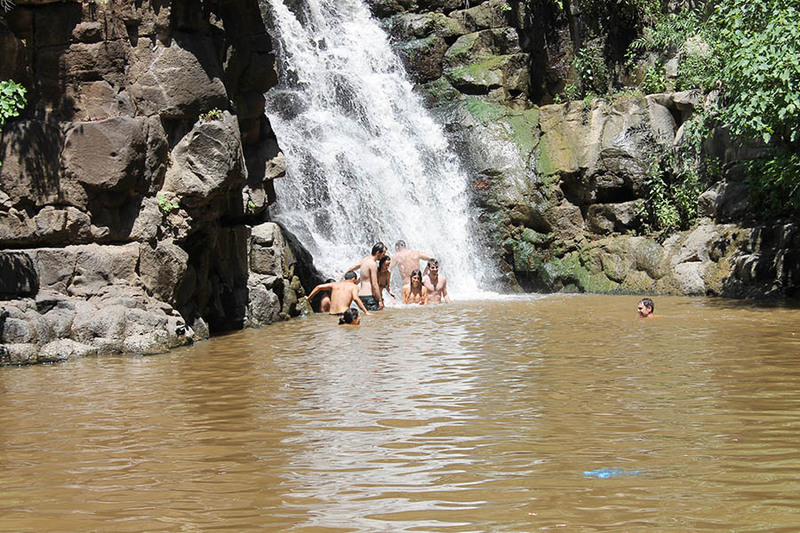 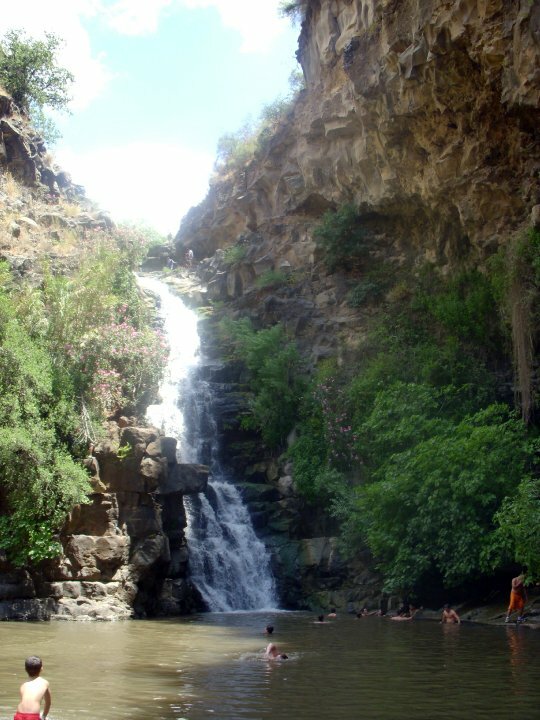 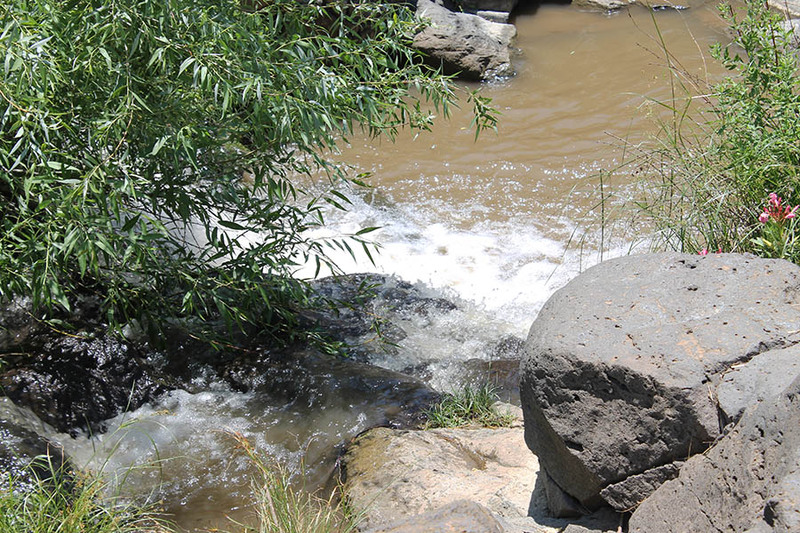 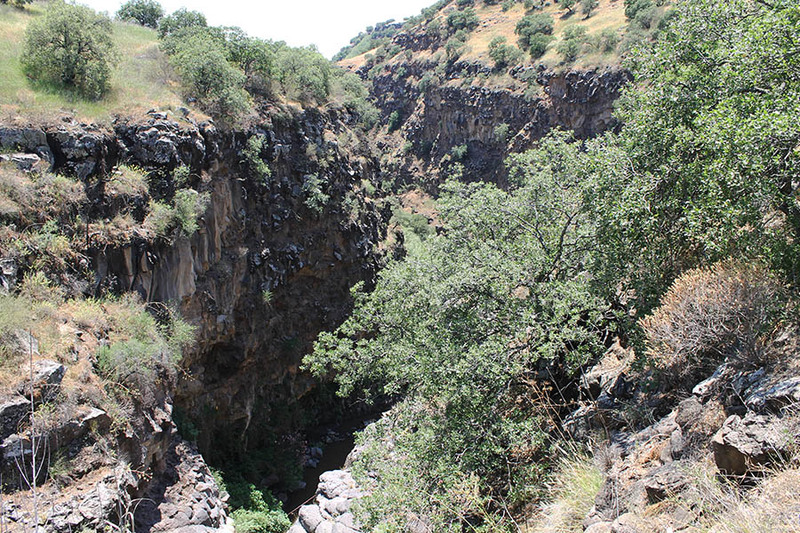 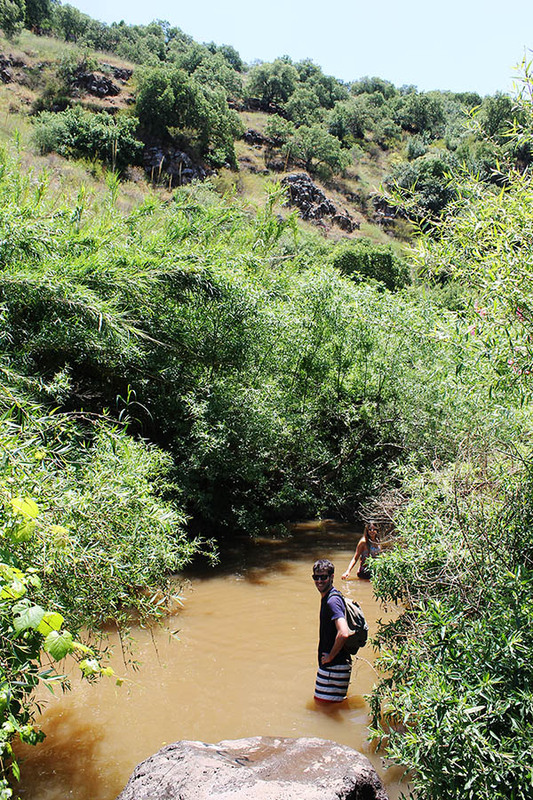 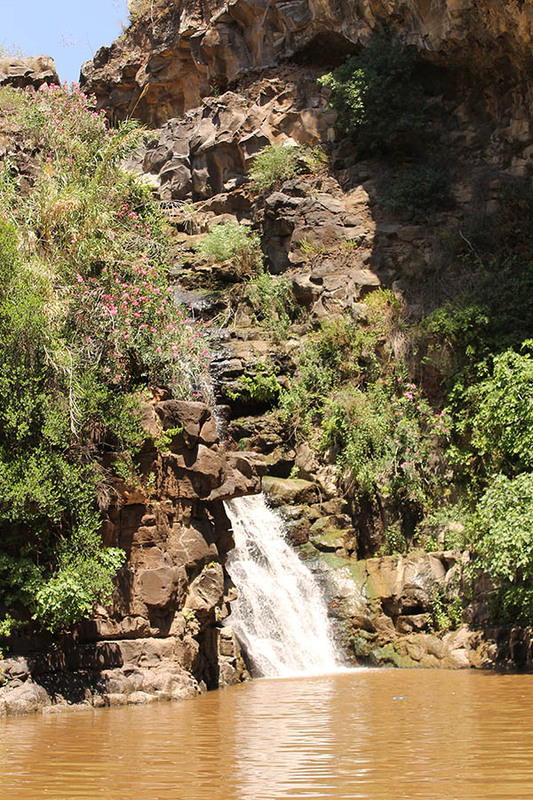 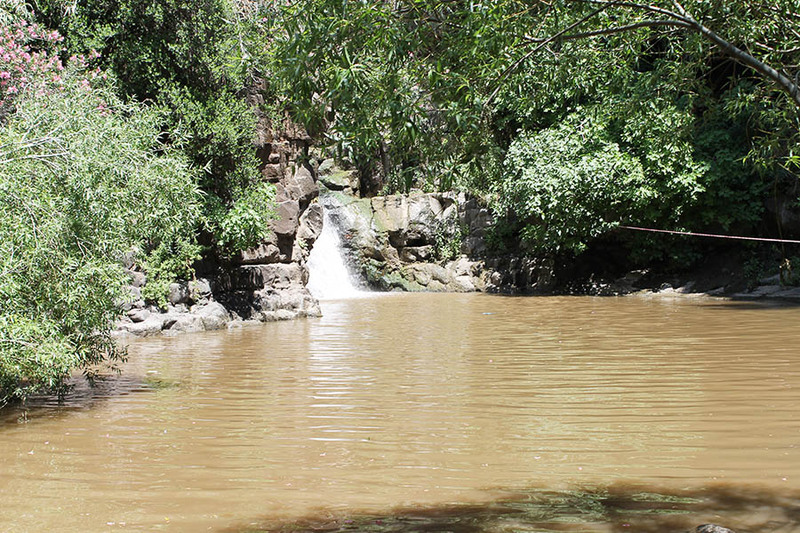 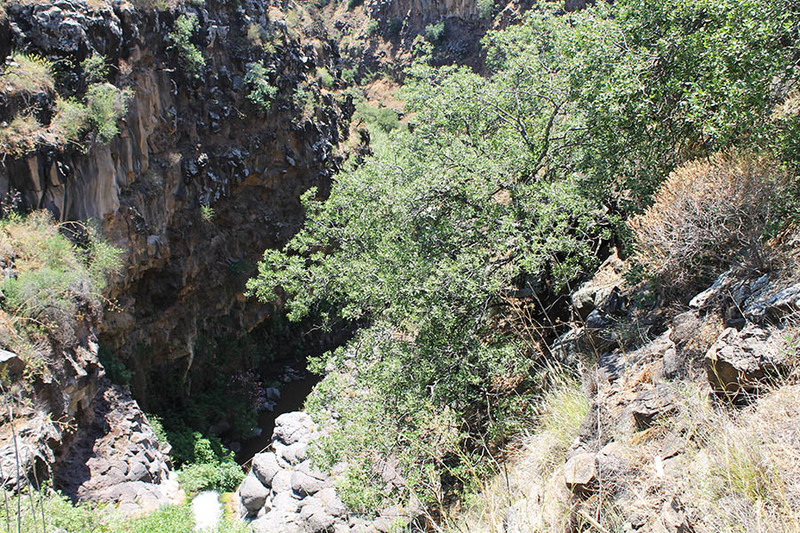 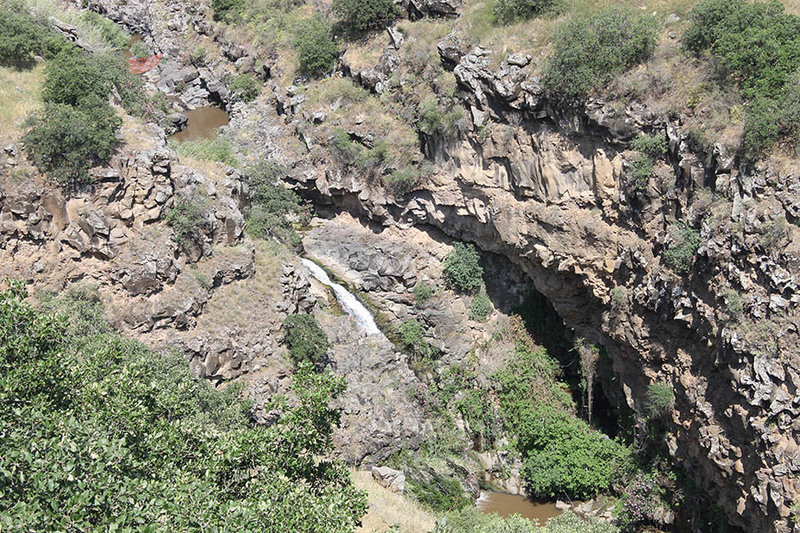 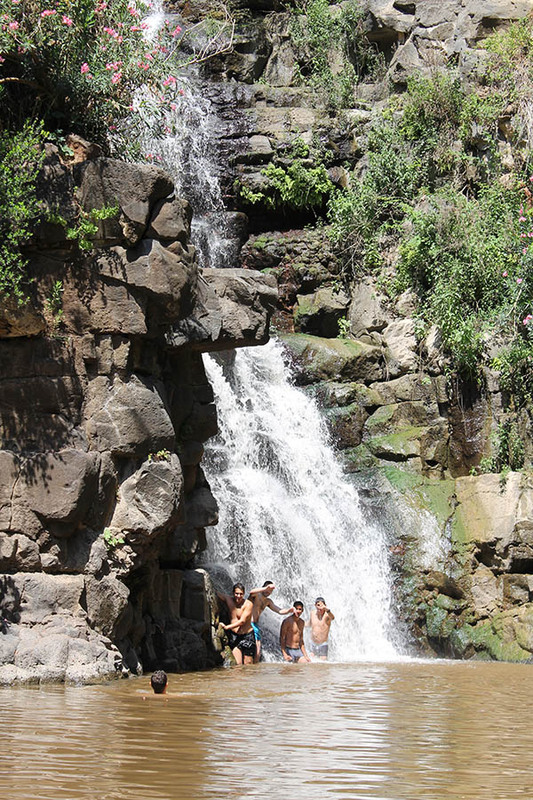 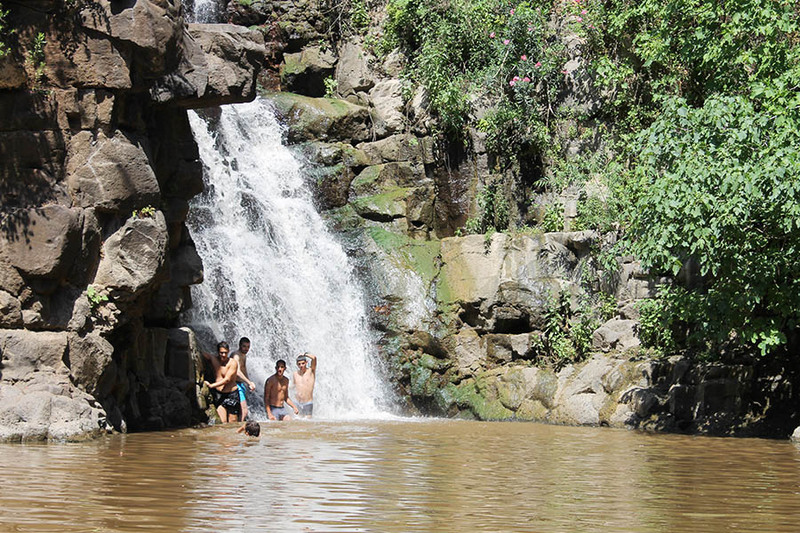 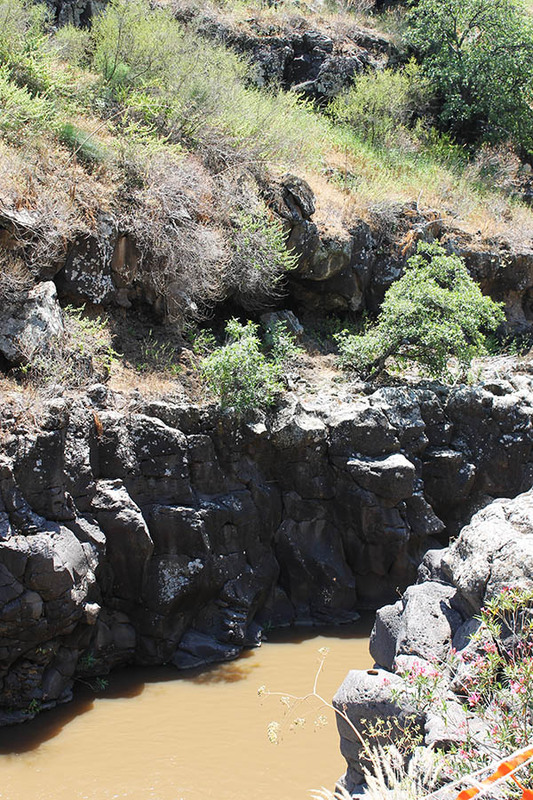 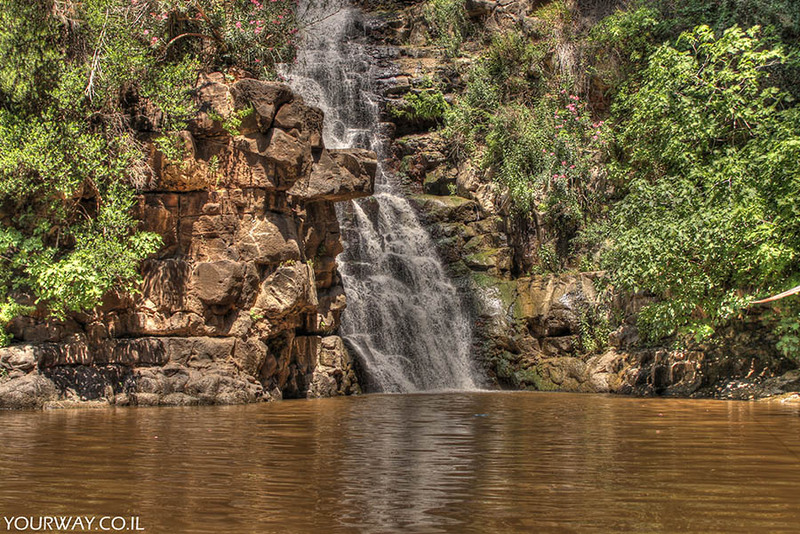 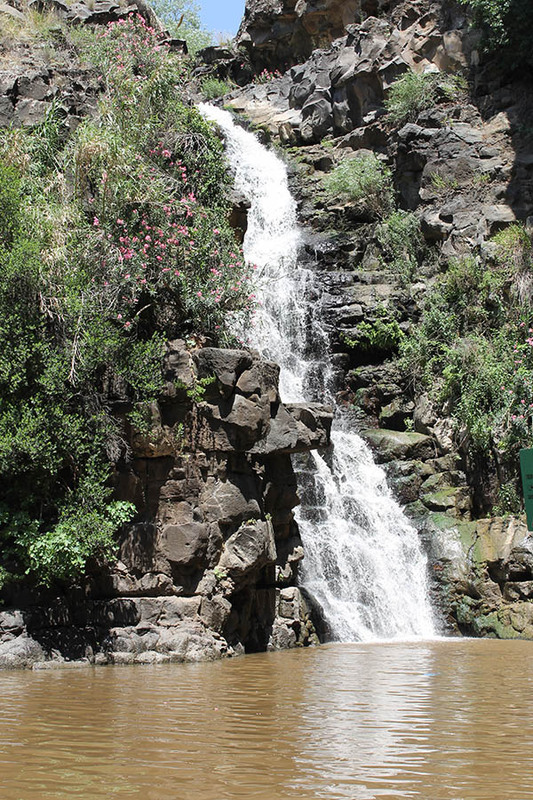 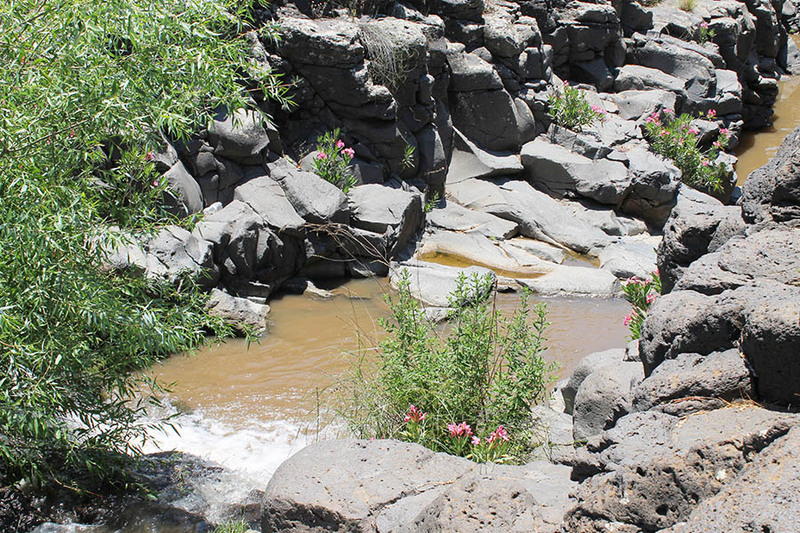 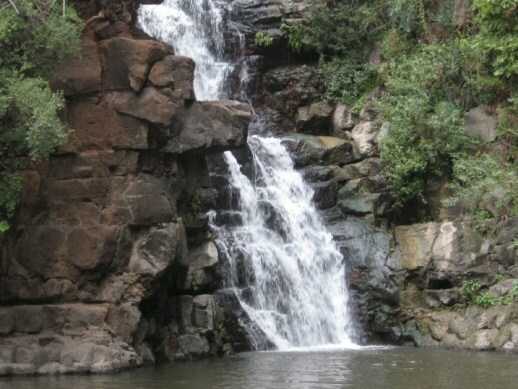 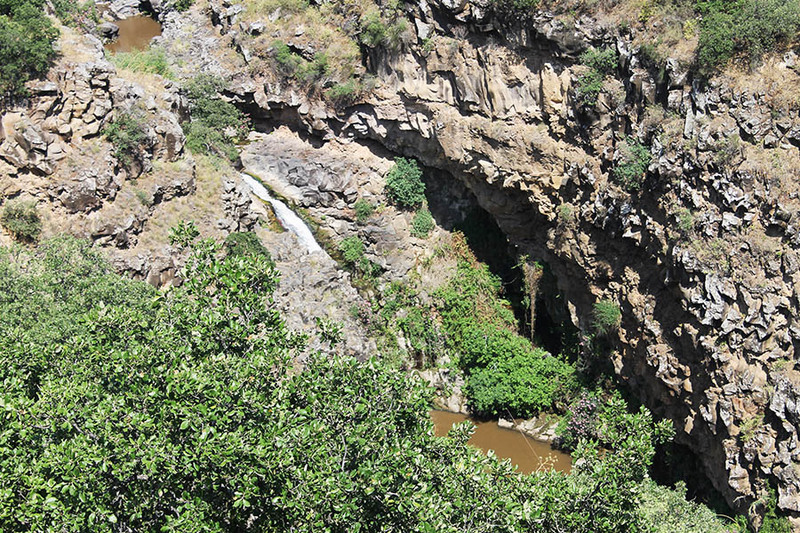 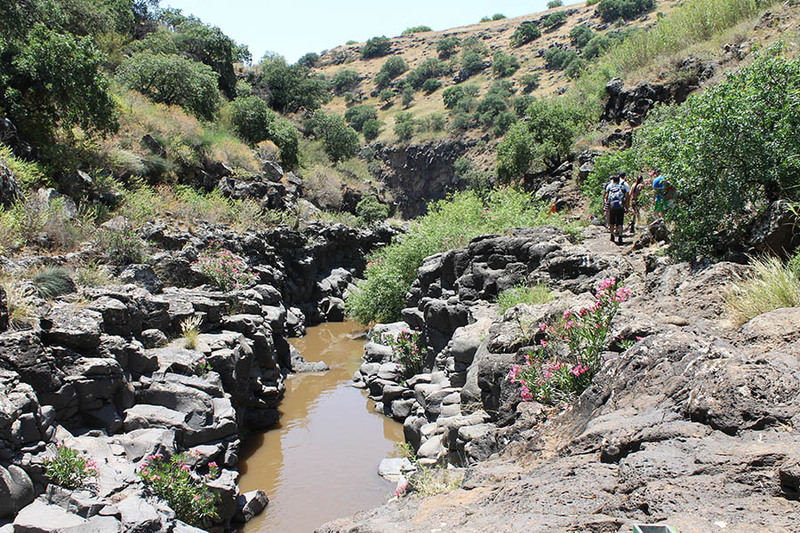 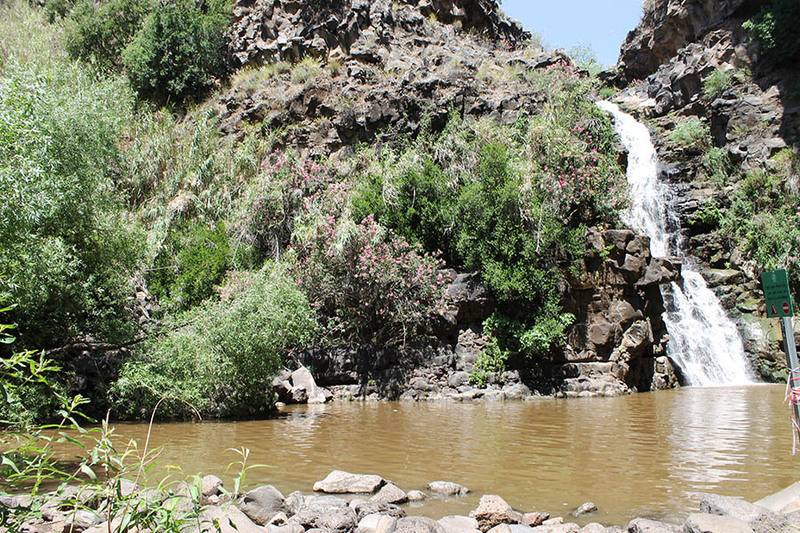 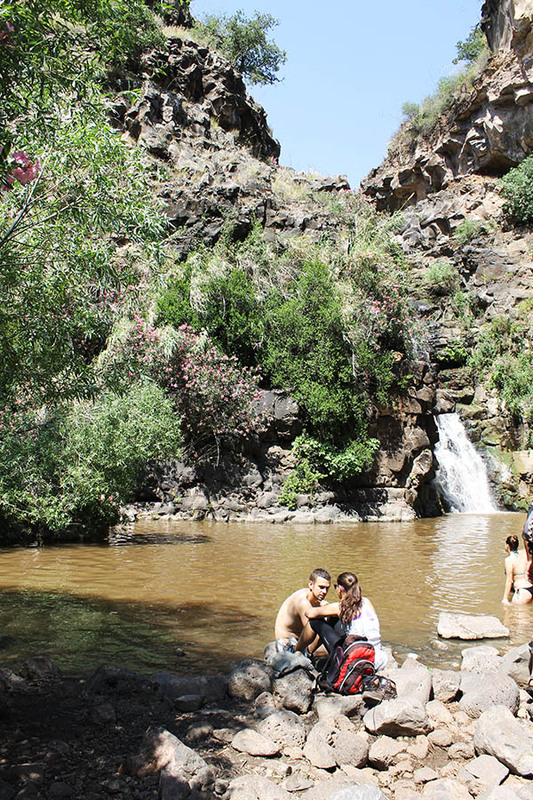 Streams, natural pools and waterfalls The Yehudiya Forest Nature Reserve, covering 66,000 dunams (16,500 acres) in the central Golan Heights, is shaped like a hand, the “wrist” of which is in the Bethsaida Valley and each of whose “fingers” is a flowing stream. 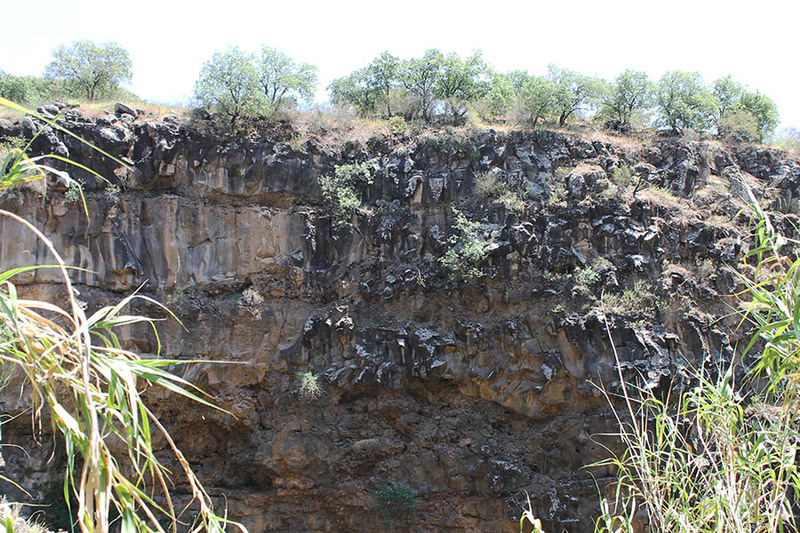 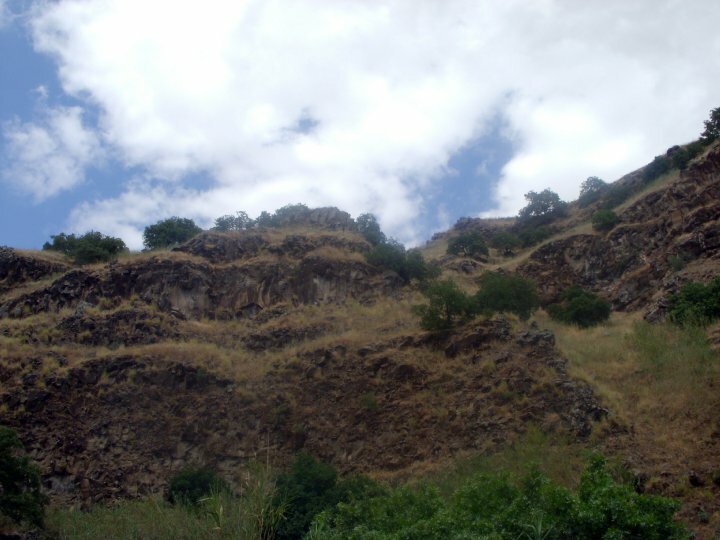 The land slopes moderately westward from 400 to 100 m above sea level. 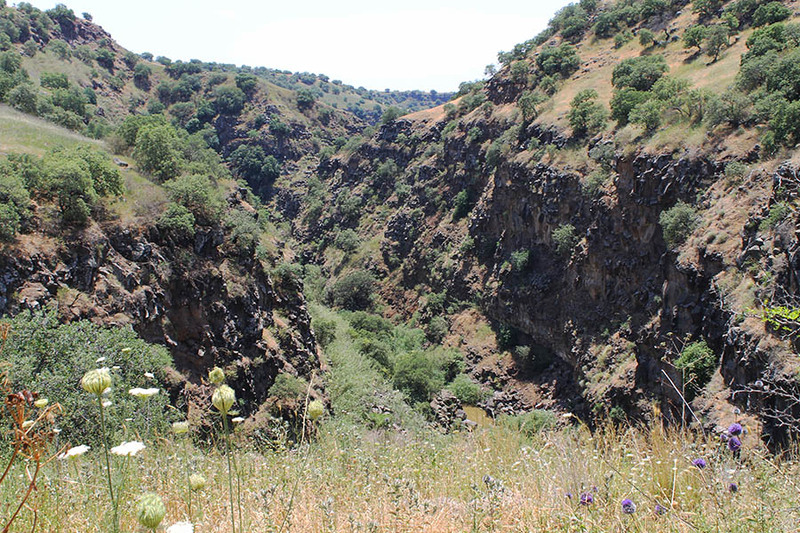 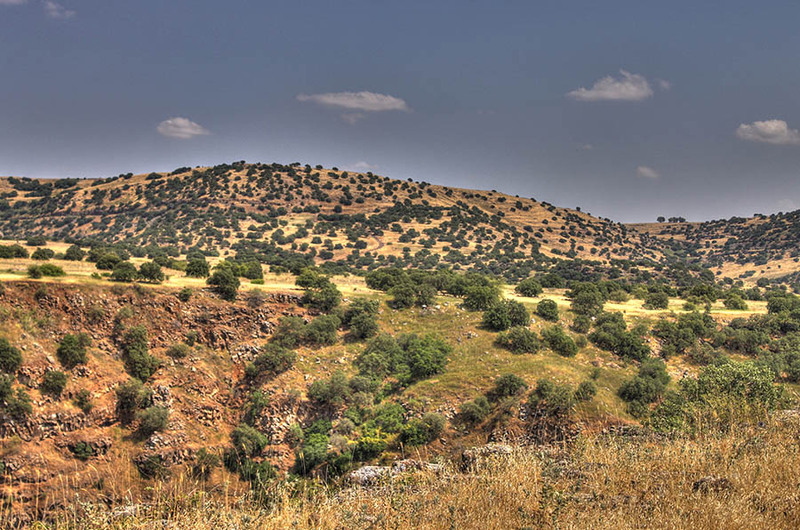 The Yehudiya Forest itself covers some 20,000 dunams of the reserve. 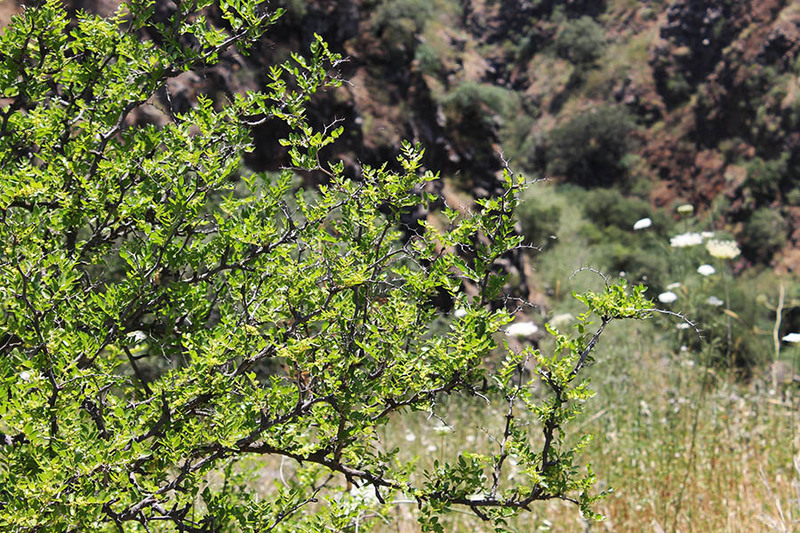 Its most common tree is the large Mt. 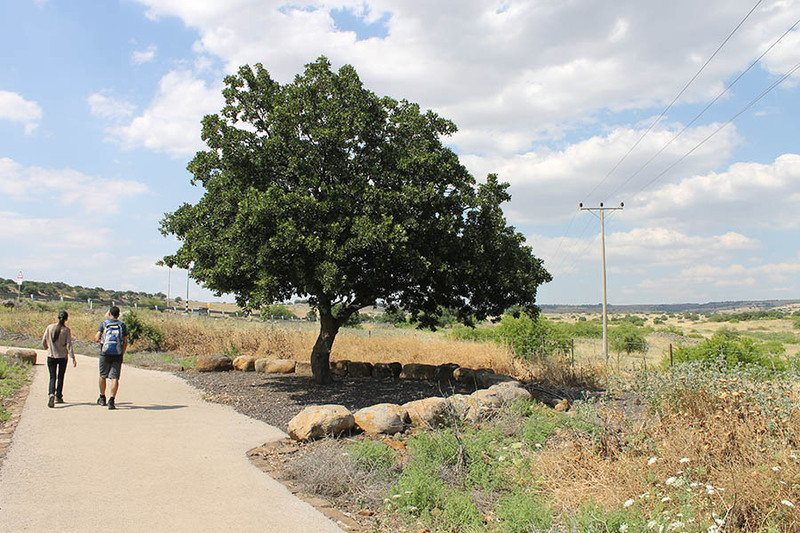 Tabor oak, which sheds its leaves in winter. 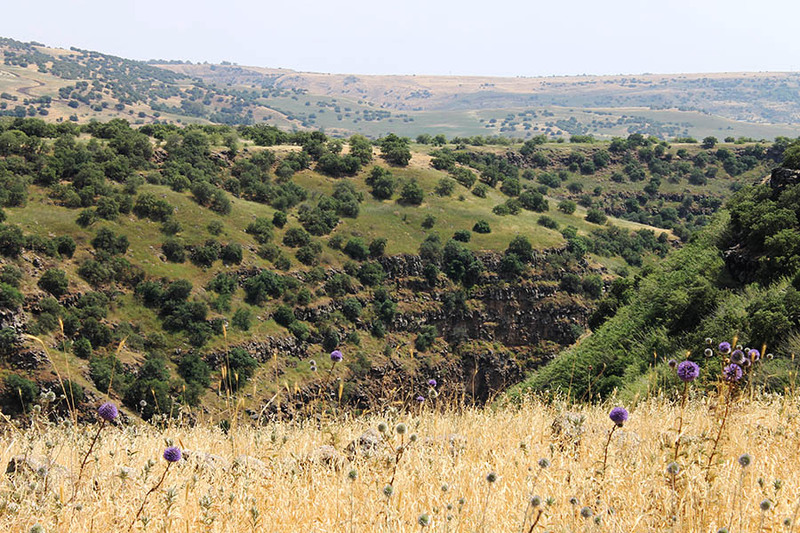 These trees grow at some distance from each other, interspersed with herbaceous species, Christ-thorn and terebinth trees, creating a forest-park landscape. 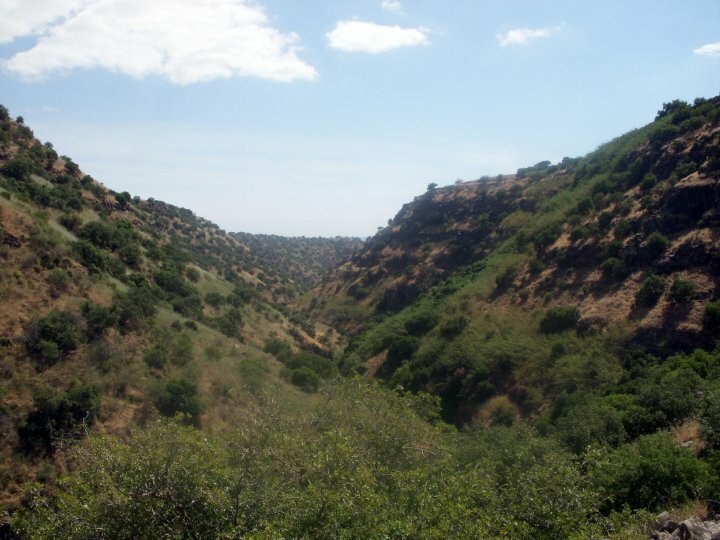 Among the animals in the reserve are gazelles, wild boars, jackals, conies, Indian-crested porcupines and the Cairo spiny mouse. 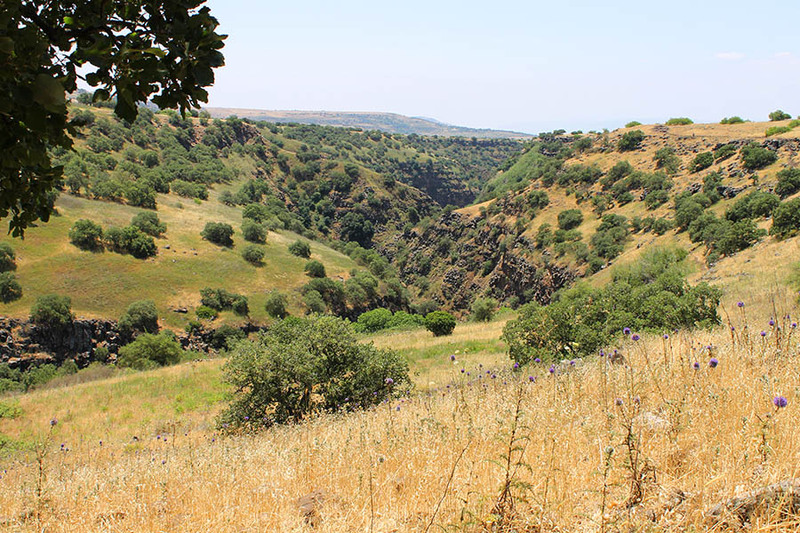 The skies reveal raptors such as kestrels, short-toed eagles, Bonelli’s eagles, Egyptian vultures, buzzards, Griffon vultures and a large variety of song birds. 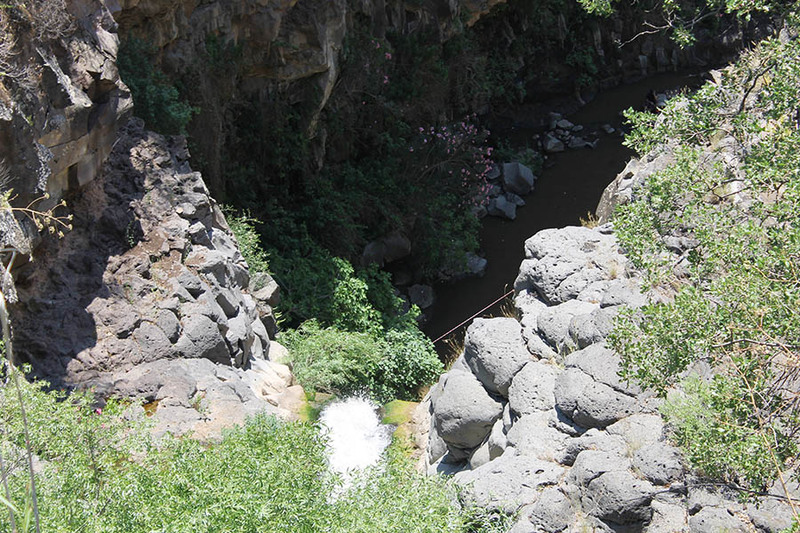 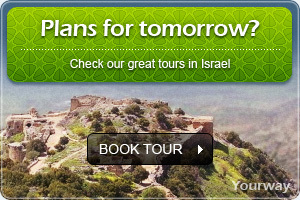 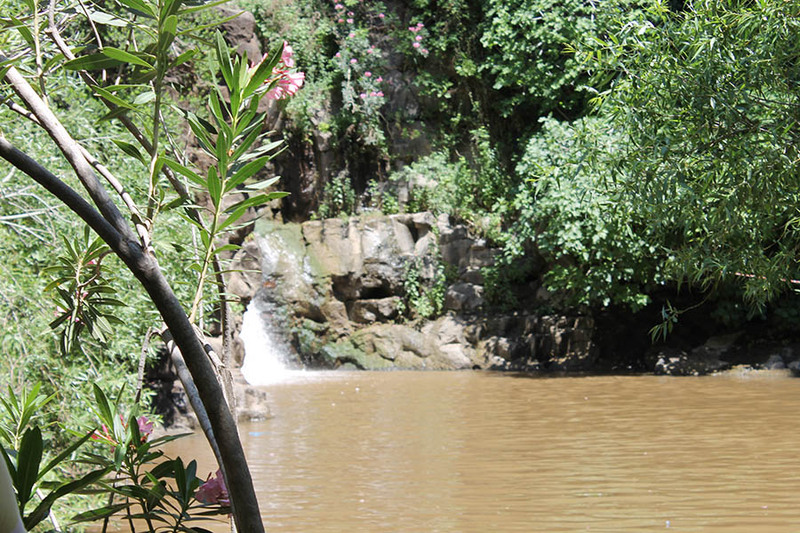 The reserve’s five main streams are the Meshushim,the Yehudiya, the Daliyot, the Zavitan and the Gamla. 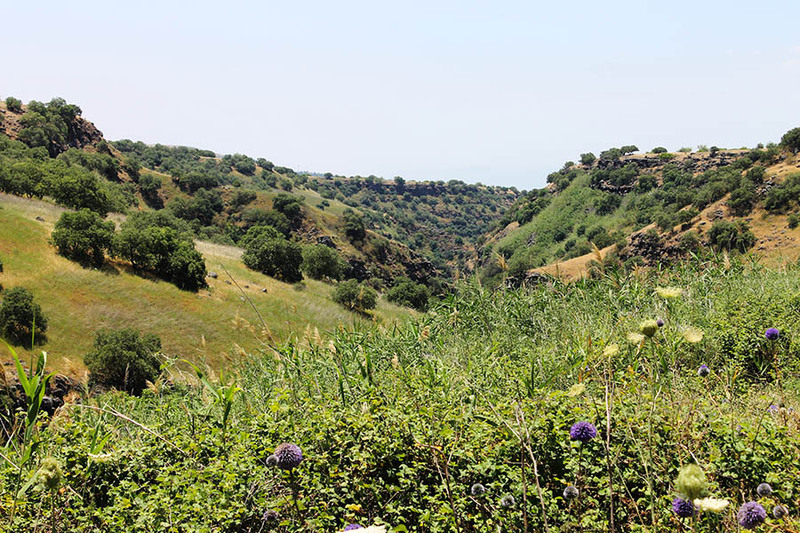 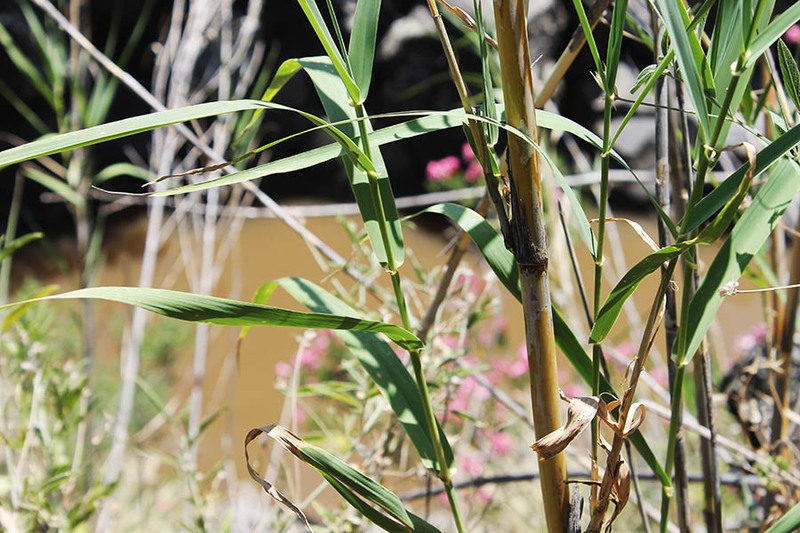 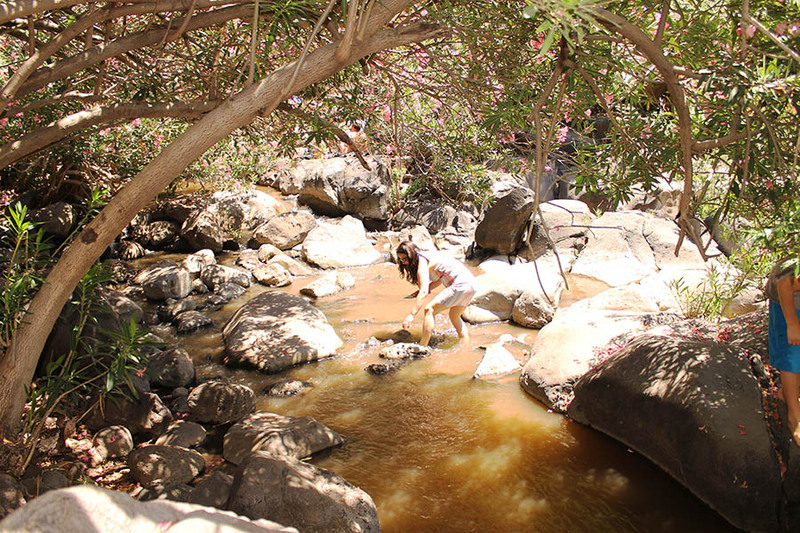 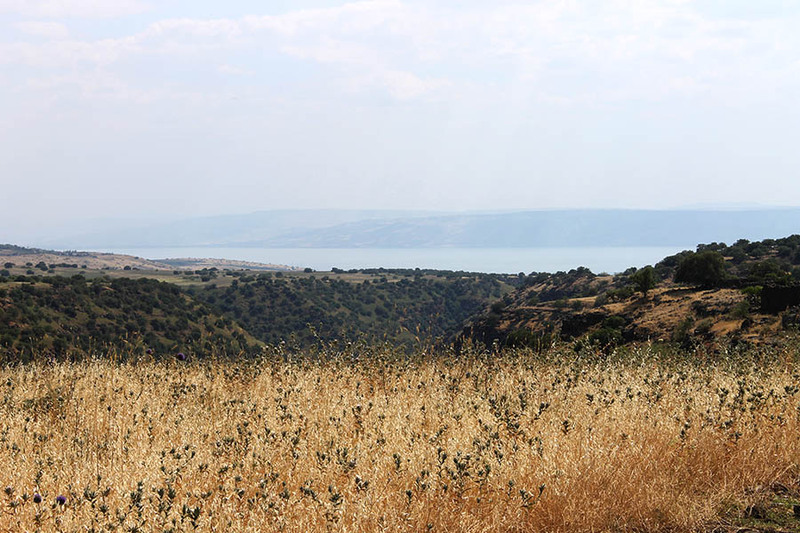 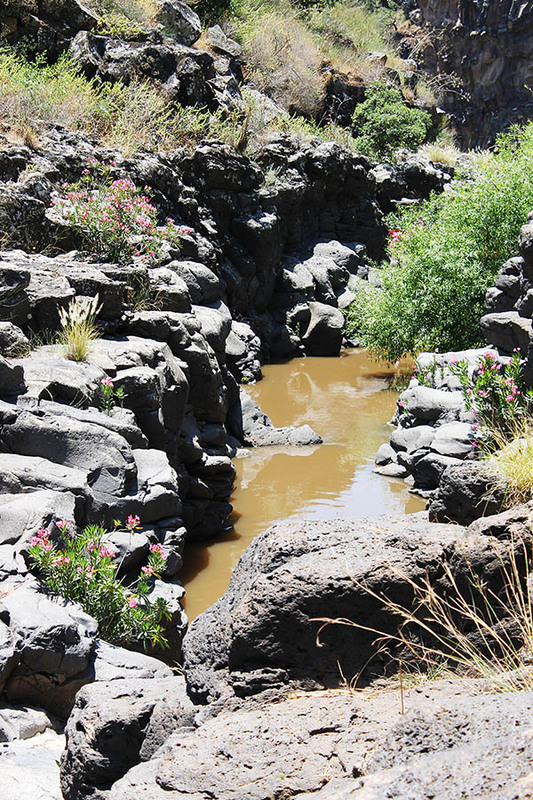 They get their water from dozens of shallow tributaries, and as they flow westward they create deep, impressive basalt canyons and high waterfalls, finally eddying into lagoons and wetlands the flat Bethsaida Valley - waterscape scenery unusual for Israel. 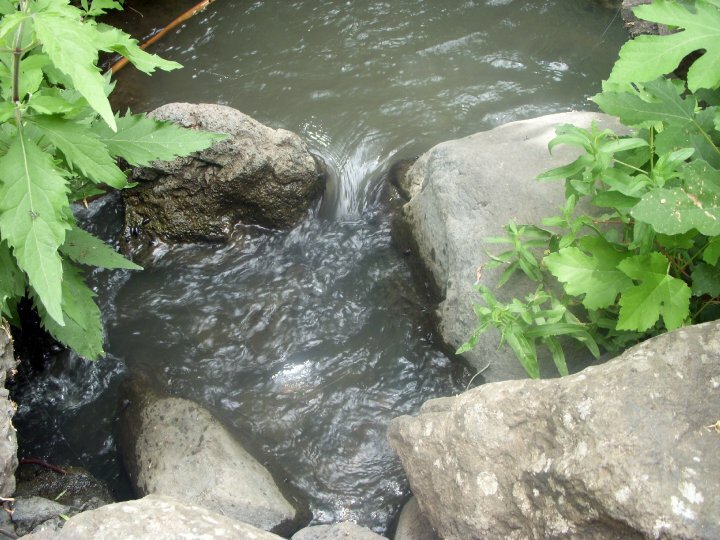 Most of the streams have trails that are marked with special colors. 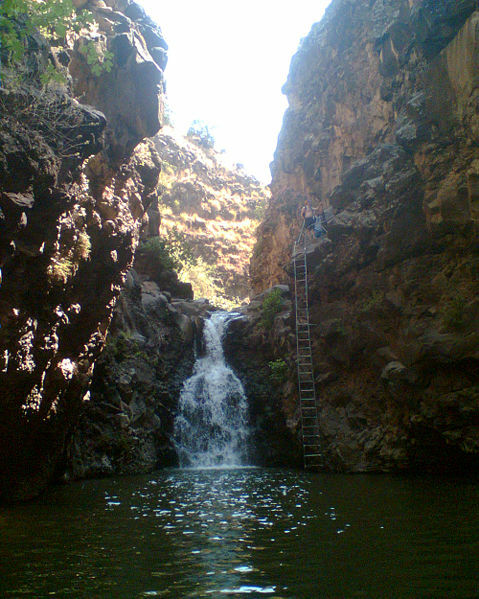 Some are easy, and some are for the adventurous and require climbing down ladders or rappelling - the latter permitted only with the services of a professional rappelling guide. 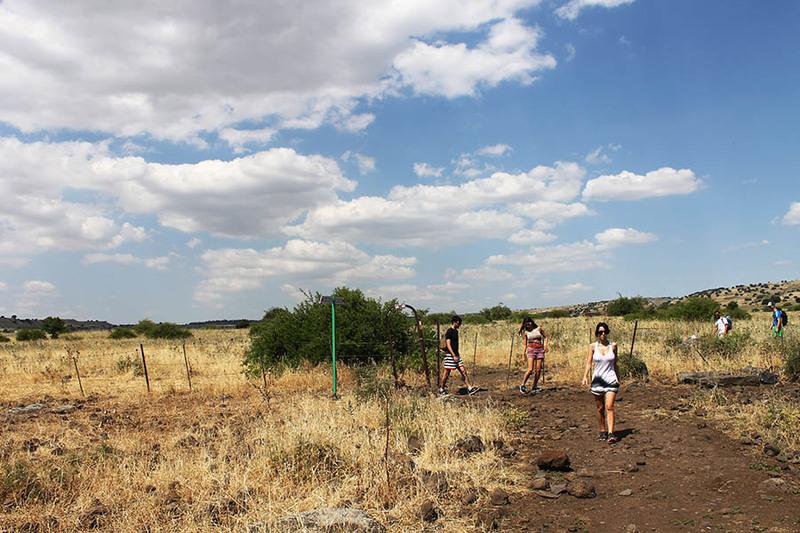 It is important to stop at the center to get the latest information on the condition of the trails in the reserve and find out the rules visitors must follow. 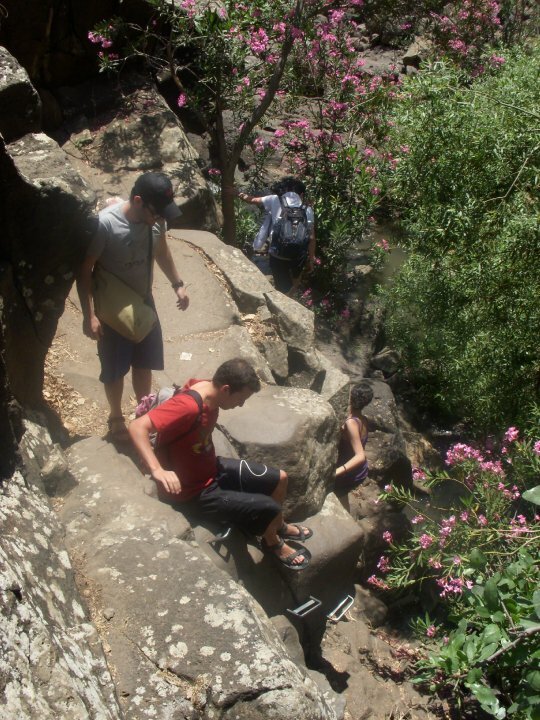 Last entry two hours before above closing hour.